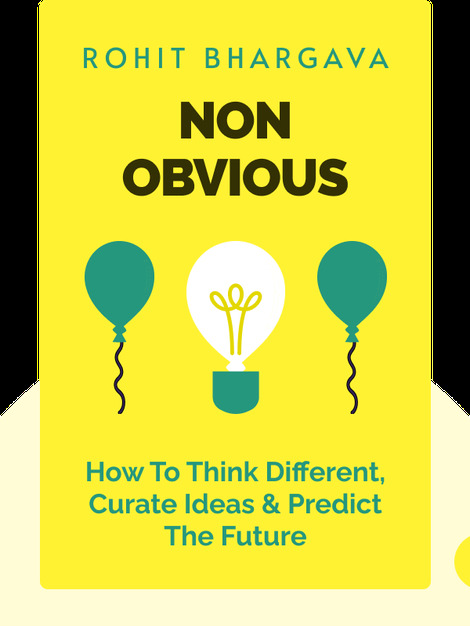 Non-Obvious is all about detecting important trends, an essential part of running a business. You can't accurately predict the future by looking at obvious, surface-level influences – the important ones are hidden underneath. These blinks offer advice on identifying meaningful changes, while outlining some prominent trends we're likely to see in the future. Rohit Bhargava is an author, marketing and business expert and trend curator. He is also CEO and founder of the Influential Marketing Group, and a two-time TEDx speaker. 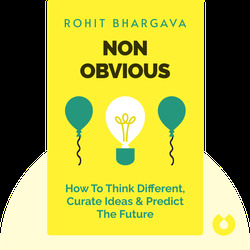 Non-Obvious is his second bestselling book.